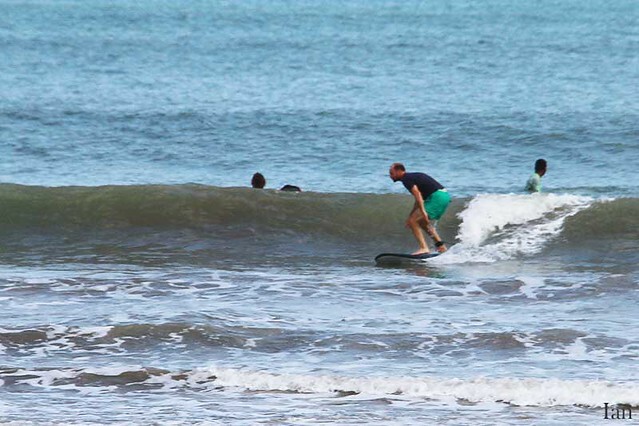 Today beginners Group sheltered from the big swell at Jimbaran beach where their surf lesson took place. Perfect place for novice surfers, nice and quiet in the early morning. 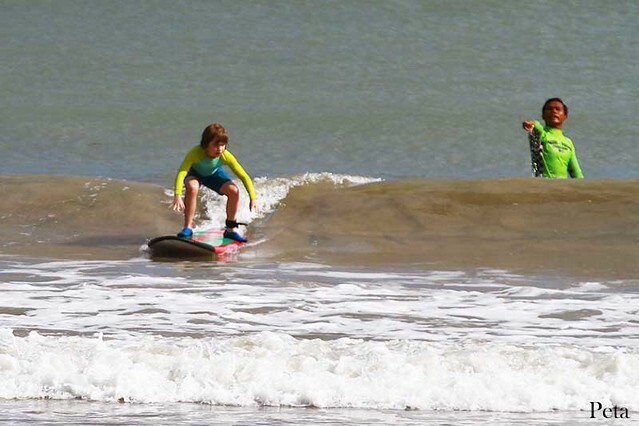 Conditions are excellent for surf lessons. Waves are waist high to chest high. 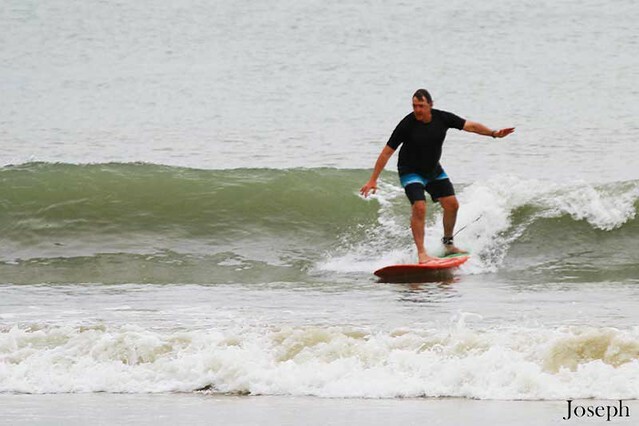 Fun and enjoyable surf session apart from the big waves is what our beginners need. 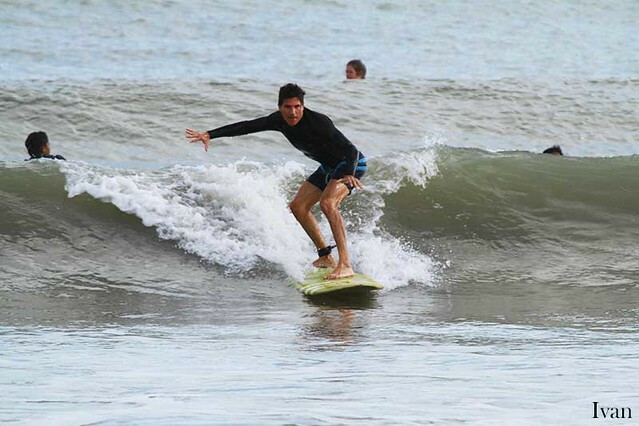 In the meantime, our intermediate group enjoyed surf lessons at Toro Toro. 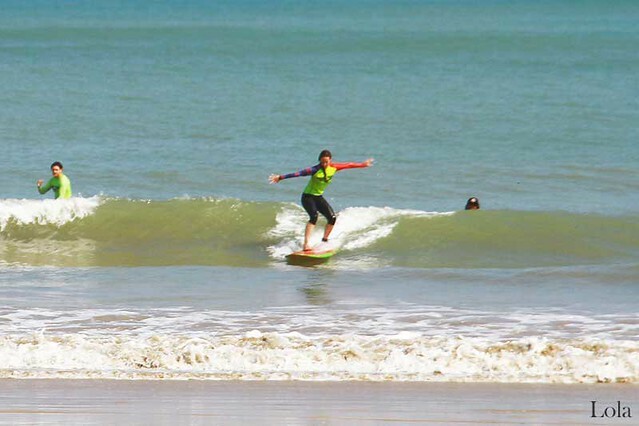 Excellent conditions to learn some new surf maneuvers for our surfers. 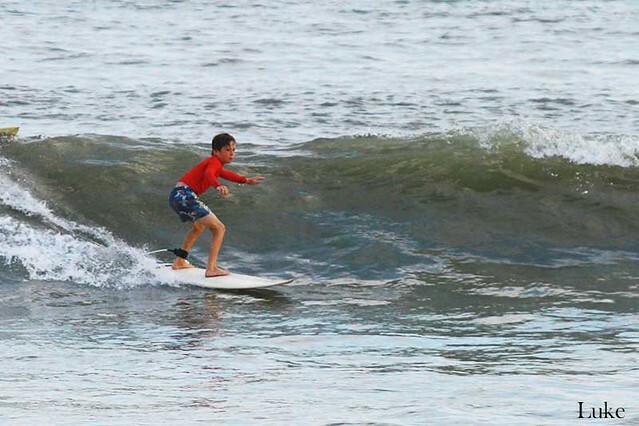 Waves are high to shoulder chest high enough to enjoy and have fun. The very first steps in all undertakings are very important and sometimes they are most difficult. 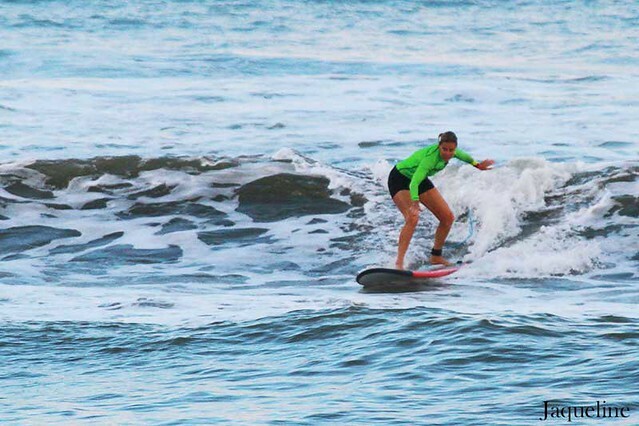 As well as for surfing which is one of the most physically challenging sports activities much depends on your first attempts in its comprehension and undoubtedly to have an experienced tutor is essential. 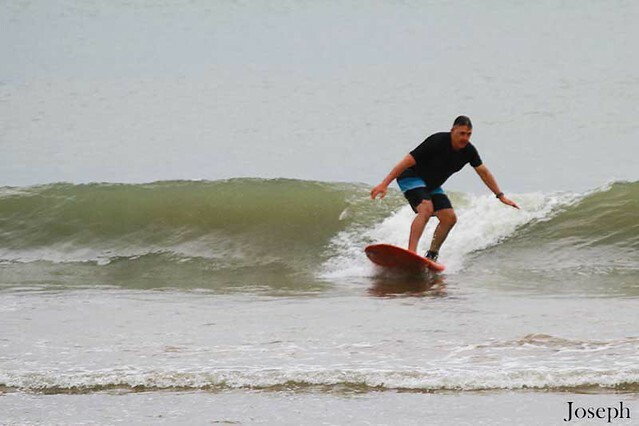 This morning our beginners group had surf lessons at Jimbaran beach. Cloudy but conditions are very comfortable for learning here today, light offshore wind, clean and knee high waves provided amazing surf session. Today the weather a little bit cloudy. The wind still off shore. After have some breakfast, the beginner group went to Jimbaran. The size of the swell smaller than yesterday. 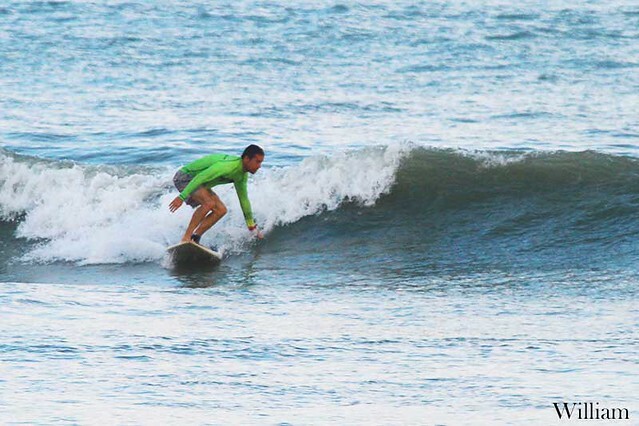 Waist high wave at Jimbaran beach. 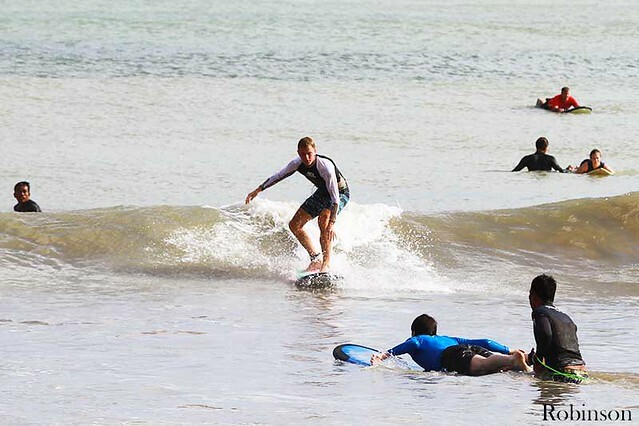 The condition was excellent for beginner to practice how to stand up properly, especially for the new guest who never surfed at all. This was perfect and save condition. Intermediate group took the vehicle to a break, Jump Off. The condition for sure good for their ability with over head on some set. All group will come back and enjoy fresh Tuna Curry for lunch, ending with dessert , home made Banana cake. 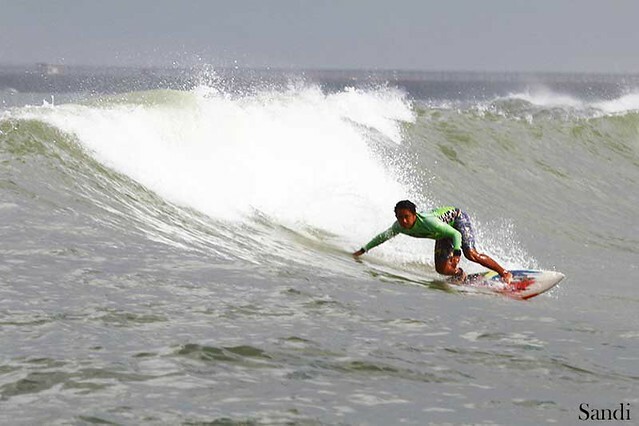 Popularity of surfing is increasing rapidly. More and more people eager to come and learn this an absolutely irresistible sport. If you want to obtain maximum improvement from your learning, whether you are beginner or already have some experience, private lessons is the best option for you. Full attention and assistance from instructor will speed up your progress certainly. 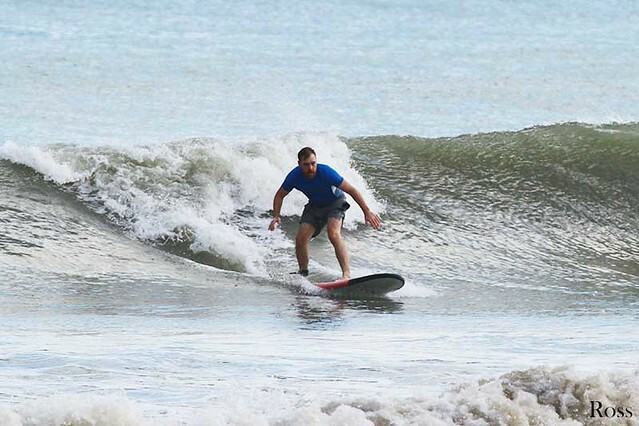 This morning our beginners were improving their skills while having surf lessons at Jimbaran beach. 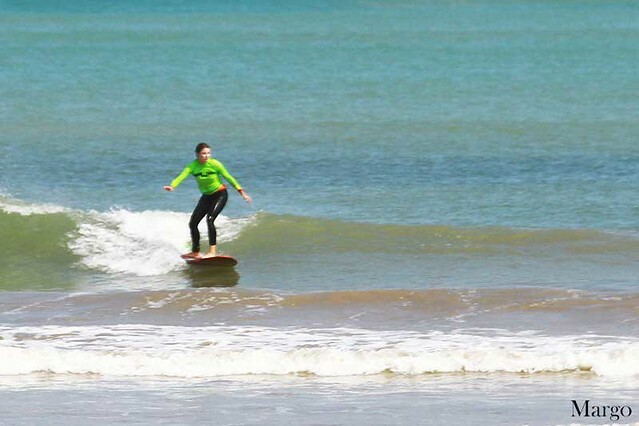 Conditions are excellent for learning today, gentle wind and waves are knee high to shoulder high. Impossible not to enjoy it. This morning our camera followed beginners group who had lessons at Jimbaran beach. 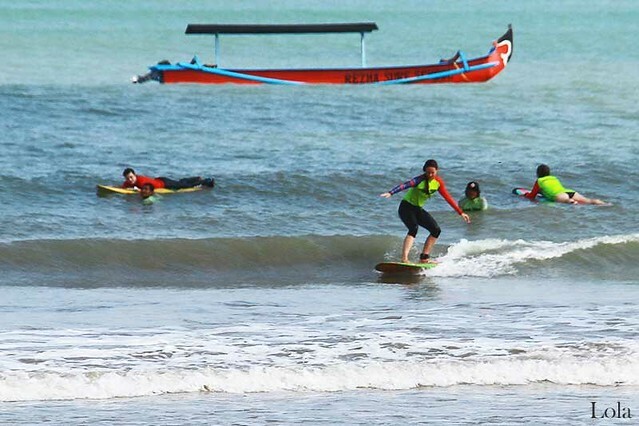 A bit crowded today but conditions are still excellent at Jimbaran for novice surfers. Tangible offshore wind and waves are knee high to waist high. 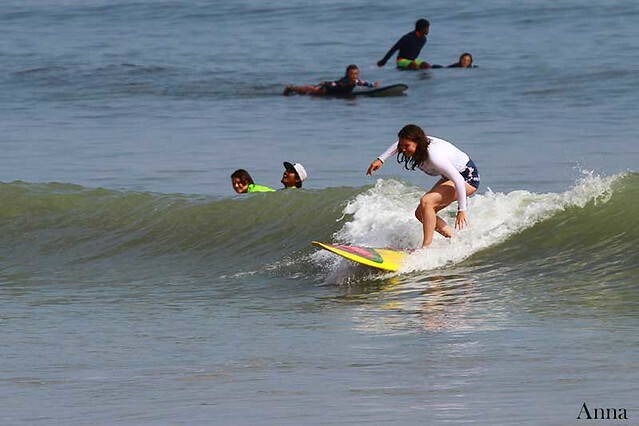 Both of our Advanced and Intermediate groups surfed Dreamland this morning. Swell size is smaller than yesterday and waves are shoulder high to head high. Pretty intense surf session with lots of fun and long rides. 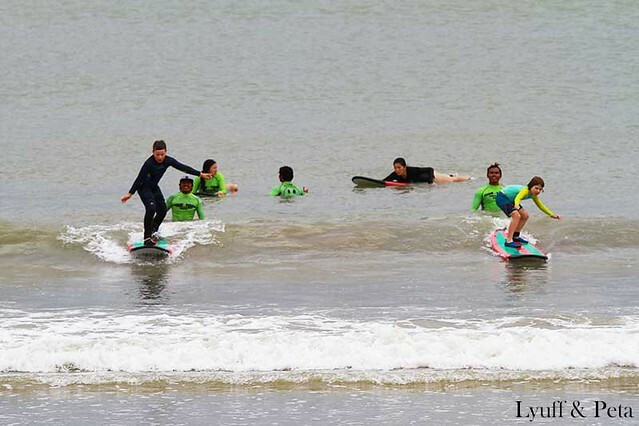 This morning our intermediate group had surf lessons at Jimbaran area. Conditions are excellent today for our learners for improving and sharpening their surf skills. Bright sunny morning and light offshore wind. Swell size is the same as yesterday so waves are shoulder high to head high. Really saturated and enjoyable surf session. 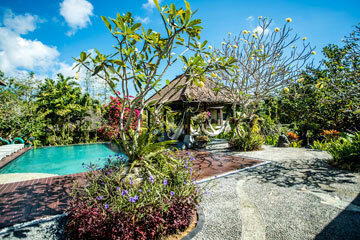 Today our intermediate and beginners group headed to Jimbaran area this morning for surf lessons. Conditions today sunny with fresh offshore wind. 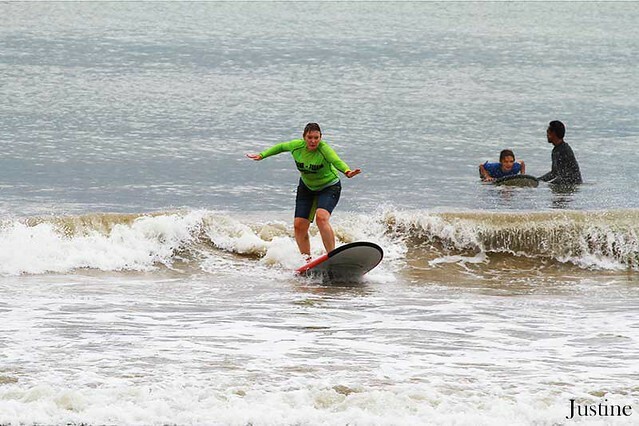 Beginners surfed fun waves waist to chest high. Swell size bigger than yesterday. 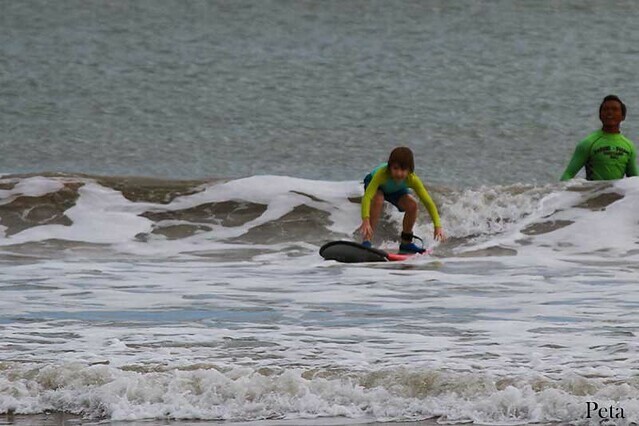 That was the best spot to learned for the big swell like today. 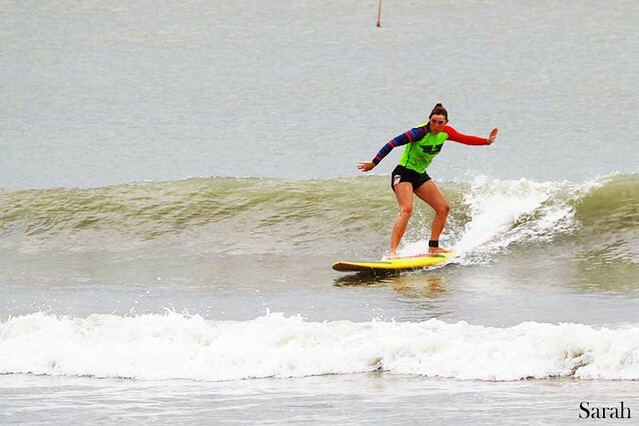 They will come back to surf camp to have delicious and fresh Soto Ayam for lunch, Indonesian best dish. 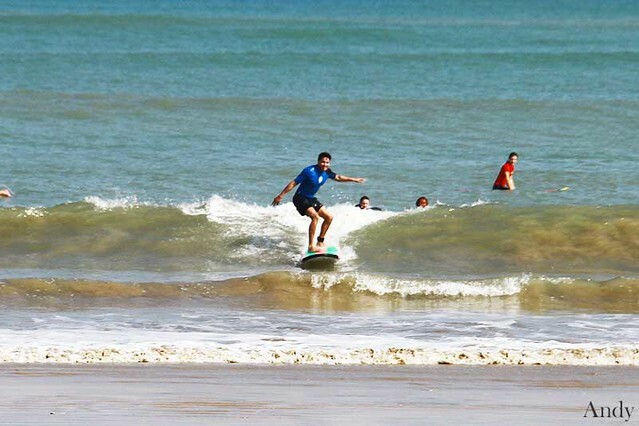 This morning our beginners had surf lessons at Jimbaran beach where conditions are excellent for learning today. Light offshore wind and waves are knee high to chest high. 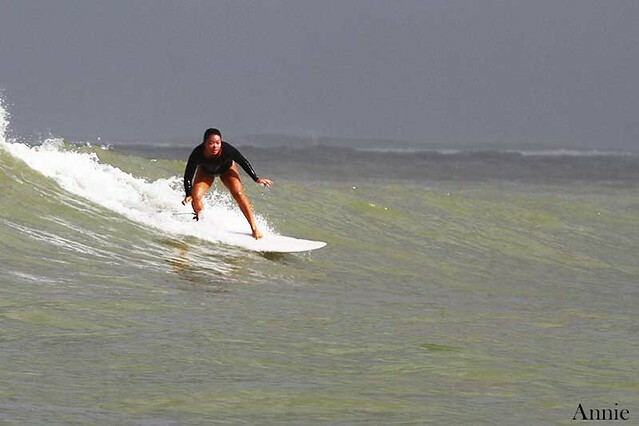 Super fun sessions with lots of practice of riding waves. 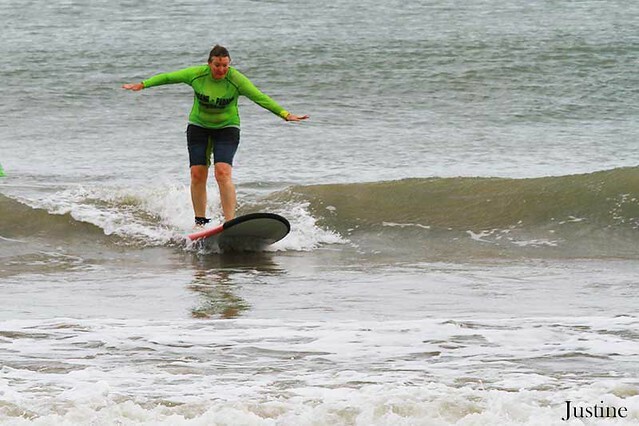 Our Intermediate group went to Toro Toro for surf lessons this morning. Swell is a bit smaller today, so waves at Toro Toro are shoulder chest high to shoulder high. Advanced surfers headed to Impossibles at dawn to enjoy surfing waves head high to overhead high on some sets. 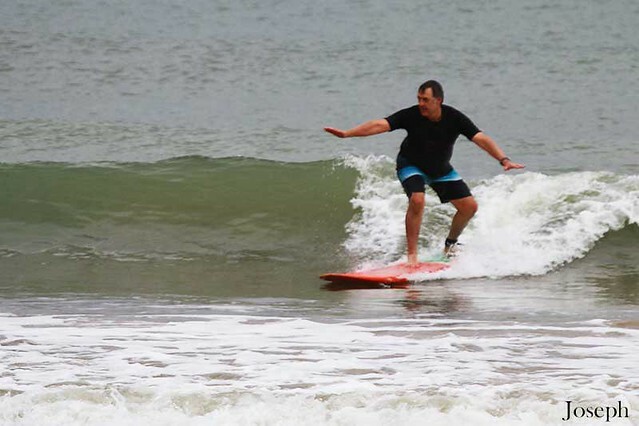 This morning our beginners had surf lessons at Jimbaran beach. 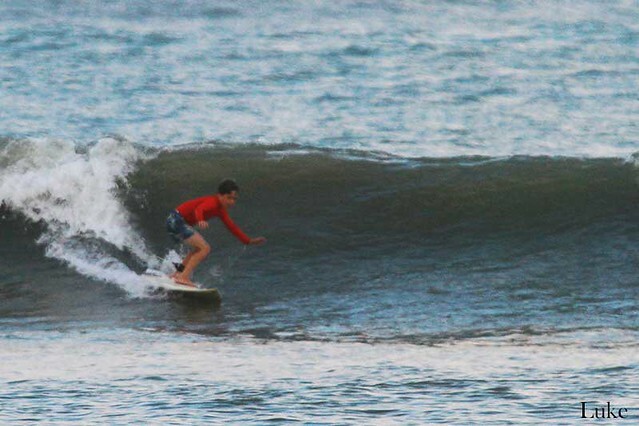 Massive swell arrived to Bali and we are seeking for sheltered spots where our learners can learn surfing in comfortable conditions. Jimbaran beach exactly one of these places. A bit cloudy and still windy today with fresh offshore. 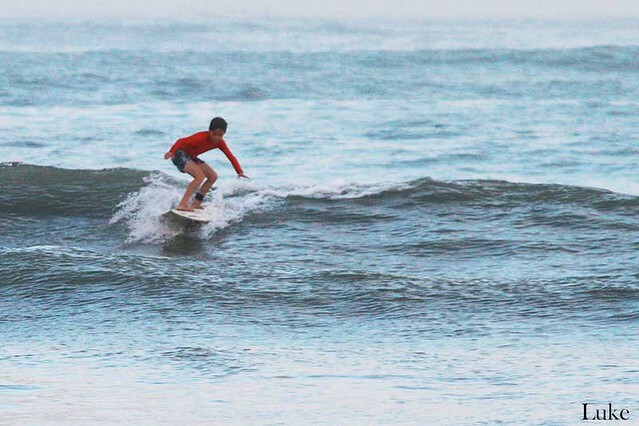 Waves are knee high to waist high and perfect for novice surfers. Jimbaran beach helps out again.